Hi- My name is Valerie and I am life-long Disney Fan! I grew up in South Florida and my parents brought me to Disney World the first year it opened! Disney magic was part of my childhood and teenage years. My husband and I even spent our honeymoon at the Polynesian Resort. Now, both of our young adult children are self-proclaimed ‘Disnerds’ . We currently live in Central Florida just minutes from the magic! I love assisting other families like mine experience the wonderful Disney magic we have throughout the years. Family is what it is about, and family vacations provide lasting life long memories. 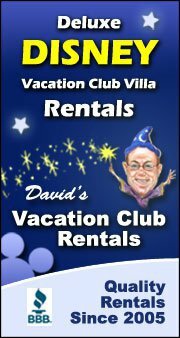 I’d be thrilled to assist you with your next vacation to Walt Disney World, Disneyland, Universal Studios, Islands of Adventure, Disney Cruise Line, Adventures by Disney… The magic is just beginning! If you’d like more information on booking a Disney Vacation, you can fill out the form below, read about the Benefits of Using a Travel Consultant or reach out to Valerie via her Facebook Page.